During the last summer semester over 20 students majoring in product and communication design developed a number of innovative PET bottle ideas for the design competition initiated by KHS in cooperation with the Münster School of Design (MSD) at Münster’s University of Applied Sciences. The aim was to come up with concepts for the aseptic filling of especially sensitive products. Besides developing 3D models a brand image and suitable marketing strategy were also to be devised for the different beverages, some of which were invented by the students themselves. The bottles were judged at the beginning of July by the school’s leading professors, Prof. Torsten Wittenberg and Prof. Rüdiger Quass von Deyen, and by KHS’ bottle design experts. The awards were then presented at the University of Applied Sciences in Münster on November 22. “Developing germ-free bottles is a big challenge. The students’ designs are of a very high quality this year, too, and more than satisfy the requirements of the task they were set,” says Arne Wiese, Bottles & Shapes product manager at KHS Corpoplast in Hamburg. The students ultimately submitted various designs for bottles holding between 180 and 750ml. There were no limits to the size and shape of the bottles or the flavor of the content: from alcohol-free punch through tea with added fruit to fruity slush a whole range of beverages was presented, all of which contain ingredients which necessitate aseptic filling. The team with the Bereza bottle design won first prize. The product, water extracted from birch trees, promises a natural experience and absolute purity which is retained by the germ-free bottle. “Thanks to the curved ornaments worked into the material the design is reminiscent of the leaves and roots of a tree. 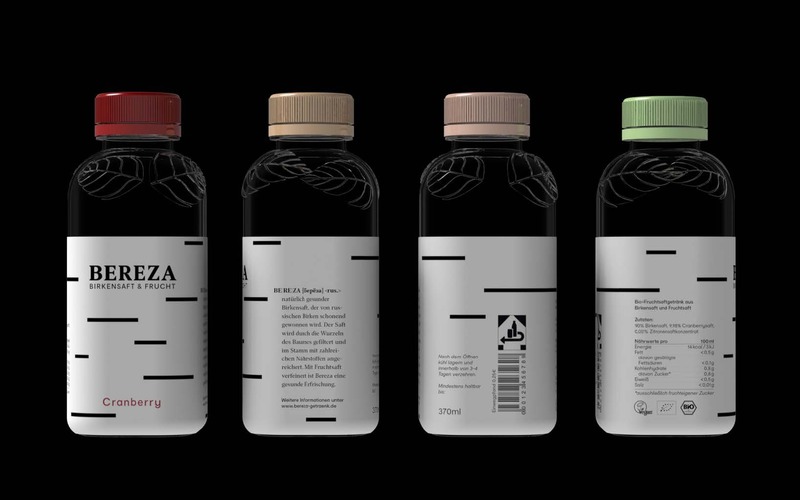 This well-coordinated concept from product to bottle had us convinced,” states Wiese. The Kinko design took second place, a set of two bottles containing a relaxing and an invigorating fruit juice beverage. The third prize went to Quokka, a cold coffee brew with added fruit.